We proudly present our Official U.S. Navy Military Watches featuring a sculpted Service Branch Emblem dial, plus your Career or Division Insignia and War Medal set within the exclusive watch band. 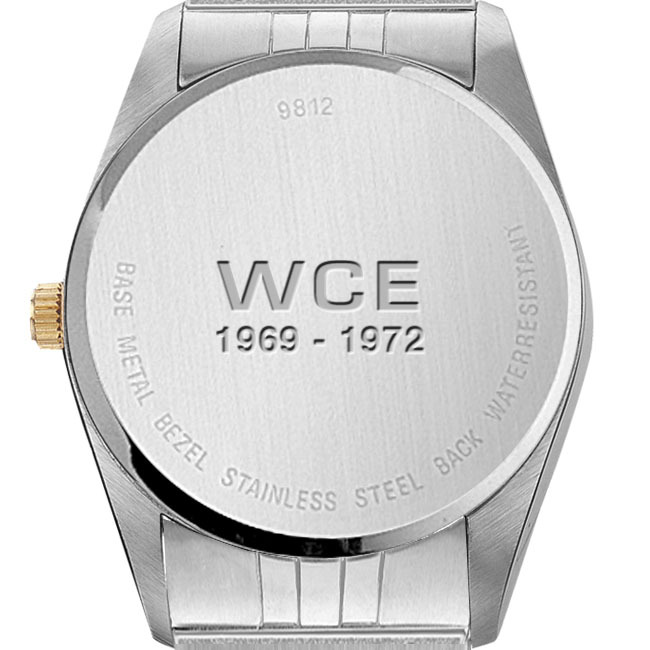 The case back will be engraved with your initials, and years of service. 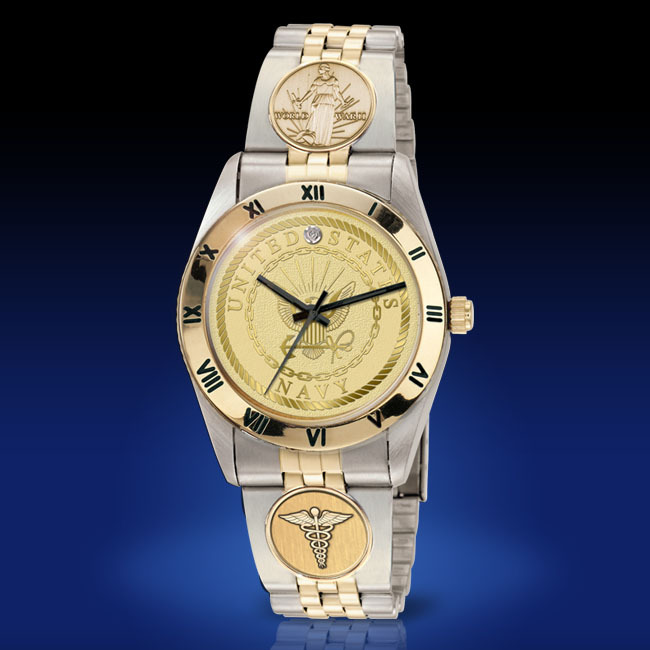 The watch band is decorated with 23 Karat Gold, and set with a special War Medal above the Service Branch Emblem dial. A genuine diamond is set at 12 O’clock for a dressy touch of elegance. Your choice of Navy Career / Division Insignia is set below the dial.